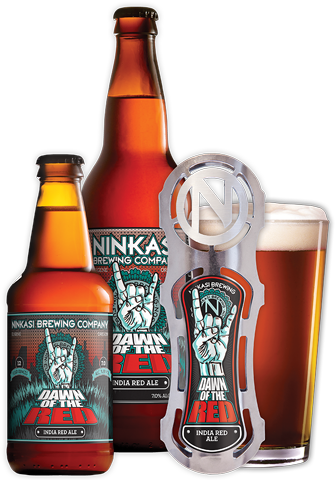 Ninkasi Brewing Company announces the addition of Dawn of the Red, an India Red Ale, to its year-round Flagship Series lineup starting February 15 across the brewery’s distribution footprint. Originally released as a Rare & Delicious (R&D) Series beer, an experimental small-batch series, Dawn of the Red was first brewed out of a want to offer an IPA using new hop varieties, including El Dorado and Mosaic hops. The beer immediately became a favorite, advancing itself to the Ninkasi Special Release Series in 2014. Once again, the fanfare for this beer was undeniable, making it an easy decision to add it to the 2015 Ninkasi Flagship Series. “The idea for this beer was to make a super drinkable, hoppy beer with a touch of caramel malt to bring some dryness and malt-flavor into the finish,” explains Ninkasi founding brewer and co-founder, Jamie Floyd, who had been wanting to brew an IRA for some time. 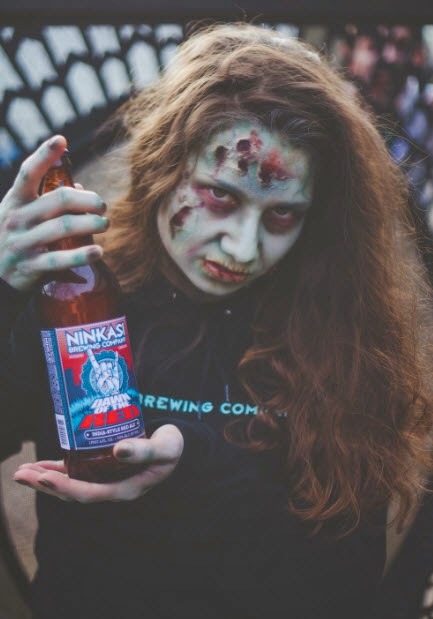 Join a Dawn of the Red Zombie Pub Crawl, February 13 & 14!Ninkasi will be hosting zombie pub crawls in 18 cities across the west, Including Portland February 13 and 14. Participants will get the first taste of this beer before its official release on February 15. Locations and details can be found online at www.ninkasibrewing.com/ninkasi-events. Costumes are encouraged. An IRA bursting with tropical notes, this beer finishes juicy with a subtle malty backbone. After one taste, it’ll leave you wanting more. It doesn’t take brains to know this IRA is a delicious choice any time of year! Tasting Notes: Mango, papaya, pineapple and stone fruit notes burst out with bitterness up front. Sustained by a subtle malt flavor, this beer finishes smooth, leaving one ready for the next sip of this flavortastic beer.